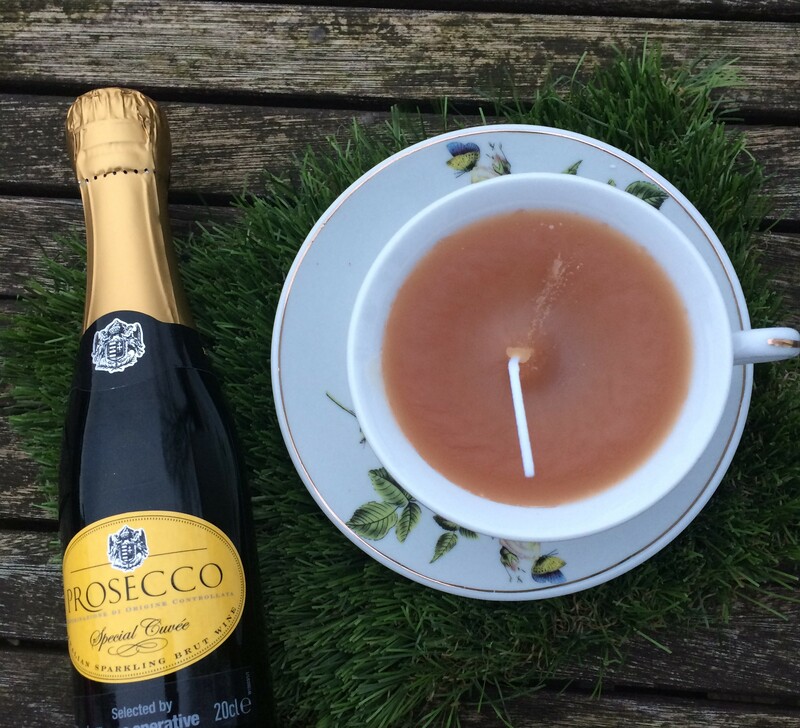 It’s Mother’s Day on Sunday and, while I am sure most mums out there would absolutely love diamonds and roses, there are some thrifty things you can make and home made candles is one of them. I do have a bit of a candle problem. When the sales are on, I often bulk buy a year’s supply of large glass jar candles. I do always lament though when they burn in a clear circle down the middle of the jar, leaving oodles of fragrant wax around the outside. Lament no more. I will never have to throw that wax away again. Here is my fool proof way to make new out of old and make home made gifts for any occasion. All you need are some wicks which can be bought really cheaply online or from craft stores (you can get 20 eight inch wicks off eBay for £1.89), an old candles, a pan of hot water and something to put your new candle into. I choose this particular jar because I chipped a but off it and kept cutting my hand every time I tried to light it. 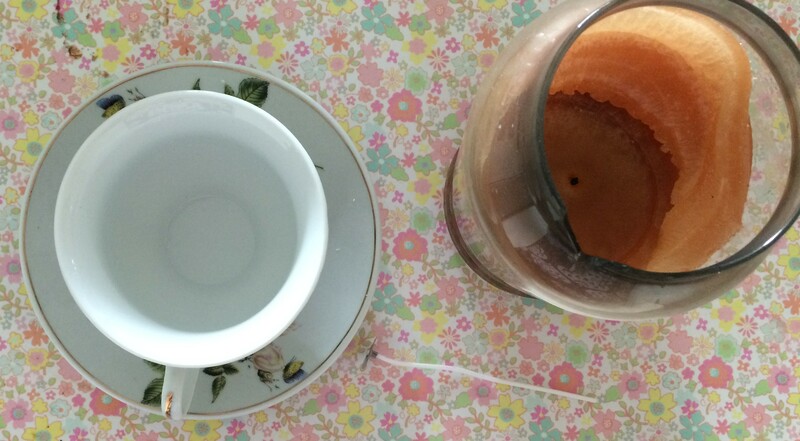 I used shabby chic tea cups (with or without saucers) but you can use whatever you like-egg cups, mugs-anything. Do check that whichever receptacle you use is heat resistant though. I don’t want you going all Body of Evidence on me. 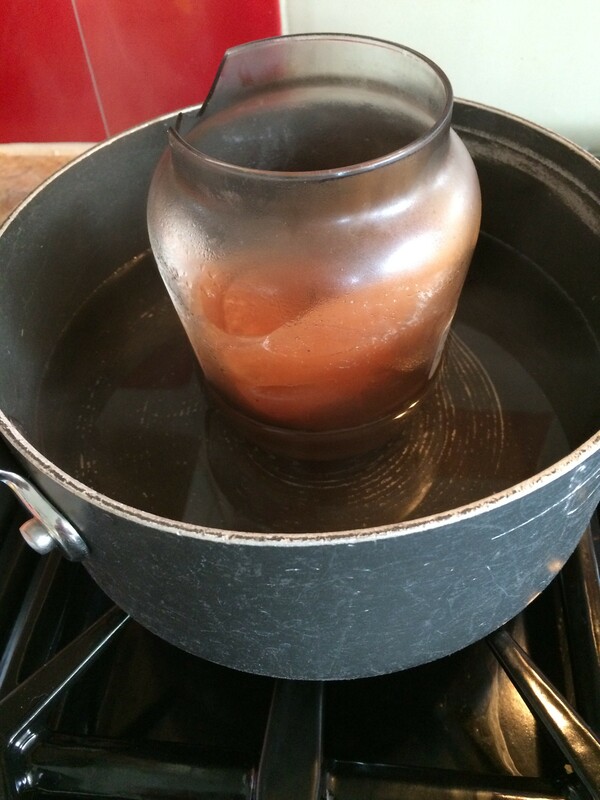 First you bring a large pan of water to the boil (or pour boiling water from the kettle into the pan) and place your glass candle into the water. Wait until the wax has melted. 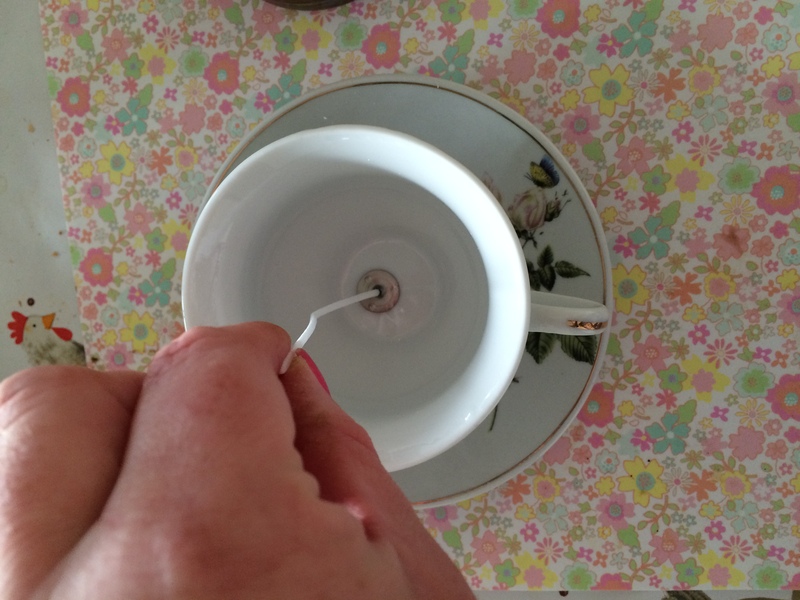 Place the wick into the receptacle you are going to use. 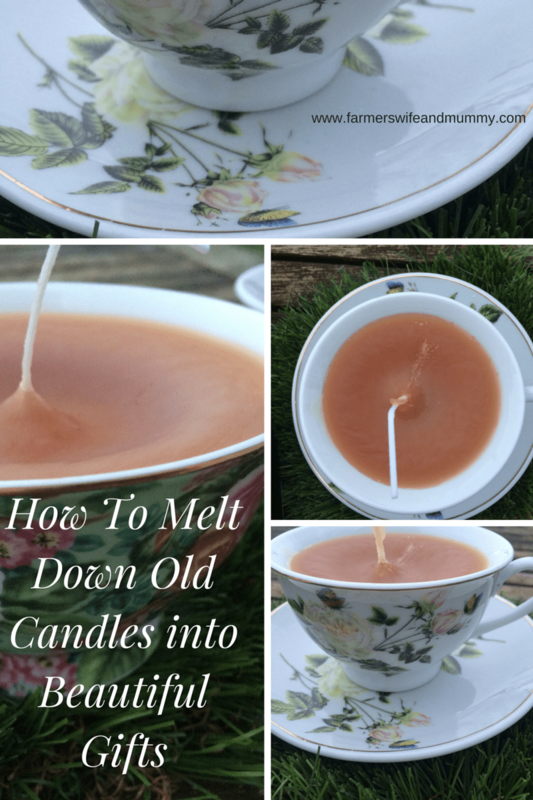 Using a heat proof mitt, pour the melted wax into the mould and then make sure the wick is still pointing upwards-you might need to keep hold of it until the wax sets a bit. Voilà! Not only have you made your kitchen smell delicious, you have reused something which ordinarily, you would have discarded and you have made a wonderful gift or, treated yourself. Whichever. These would make a great gift. 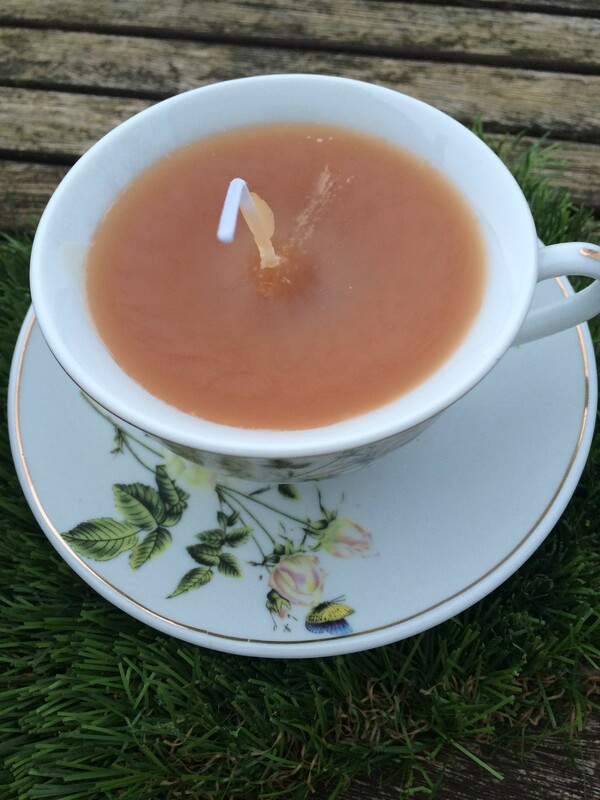 The colour of your candle is ideal, it looks like a proper cuppa! Love this idea! 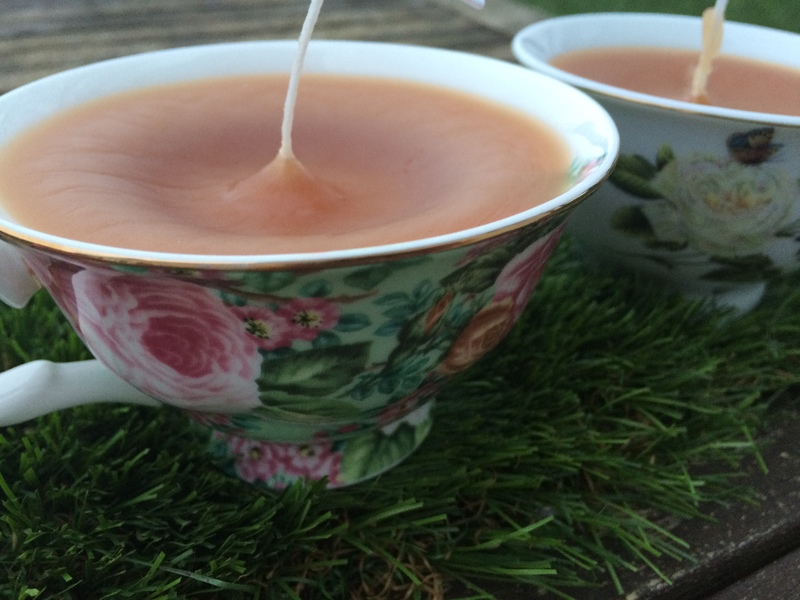 Plus, it looks super cute in the tea cup! Now I just need to round up some candles!